Looking for that perfect Valentine’s Day gift for that special someone in your life? A dozen roses may be a classic, but they’ve been done. Ditto for that heart-shaped box of chocolates. If you want to make the day truly special, why not go the extra mile with a cool, tech-inspired present instead? From a high-quality Bluetooth speaker to play “your song” to a gorgeous crystal-studded smartphone case to sound-limiting headphones for the kids, here are some gifts sure to delight your favorite techie Valentine no matter who or how old they are. Music is a powerful thing – it can turn an average Valentine’s Day into something special and memorable. That’s why we like the Philips DOT Wireless Bluetooth Splashproof Speaker. It’s a small-but-effective device capable of producing some seriously loud, clear sound when you want it. It wirelessly pairs with most mobile devices, so there are no compatibility concerns. You can even use it as a speakerphone. And because this Philips speaker is splashproof, it can be used to play the perfect mood music for a relaxing bubble bath at home or blast tunes for the whole family during a fun day at the beach. 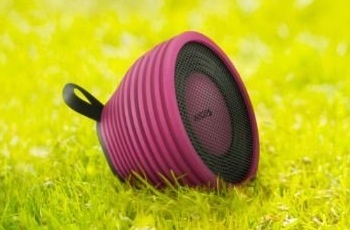 The Philips DOT Wireless Portable Bluetooth Splashproof Speaker is available in your choice of pink, blue and black colors. You can find yours on Amazon starting at $53.49. 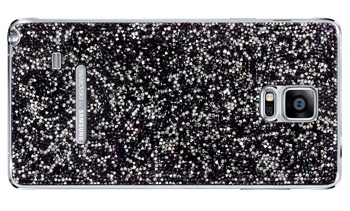 Add some glitz and glam to your sweetheart’s Galaxy Note 4 with a Swarovski Crystal Battery Cove. Your fashion-savvy Valentine will appreciate extravagant, on-trend use of crystal and the color choices. There are a lot of less expensive options out there to keep tech devices protected, of course, but few bargain options will turn heads in exactly the same way this luxury case does. You can find the Samsung Swarovski Battery Cover for the Galaxy Note 4 at Samsung.com for $149.99. You might also want to check out Swarovski’s full line of electronics accessories for other mobile devices at Swarovski.com. Do you and your Valentine share a love for physical fitness? 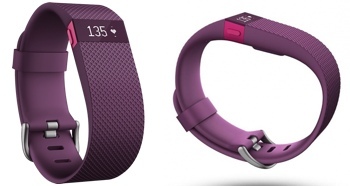 Check out the Fitbit Charge HR exercise-monitoring wristband. Don’t mistake it for a basic weight-loss device – the Charge tracks heart rate, distances run, workout intensity, active time and many more key statistics a fitness fanatic needs to know. It syncs wirelessly to your phone to keep track of workout data and receive call notifications on its OLED screen. It can even be worn in bed to analyze sleep patterns and provide guidance to getting a good night’s sleep. We like the plum colored Fitbit Charge HR for Valentine’s Day, but an everyday black tracker is also available. You can find the device for sale on Amazon.com for $149.99. The Fitbit Charge HR wristband isn’t the only techie option for a Valentine who loves staying in shape – we also like the washable Monster iSport Intensity Headphones. The iSport features a patented SportClip, designed to hold tight even through the most intense of training. The antimicrobial ear tips are sweatproof and fit comfortably in your ear. Monster’s iSport has moderate sound isolation abilities, which means they filter out all but the most necessary of traffic noises. They also feature on-cable smartphone controls for your Apple iPhone 6 or earlier devices. 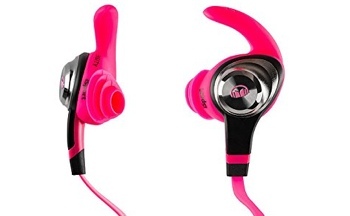 You can find the Monster iSport Intensity Headphones in your choice of colors (black, green, pink) at Amazon.com for $94.89. Don’t forget the kids this Valentine’s Day! 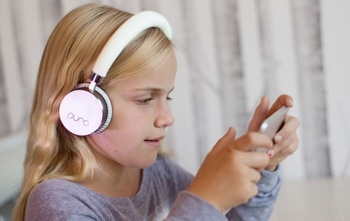 For little ears, we like the Puro Sound Labs BT2200 sound-limiting Bluetooth headphones. They’re studio-grade headphones with leather earcups and headbands – high-quality all the way. But no matter how much the kids crank up the volume, these headphones won’t go any louder than 85 decibels – a safe listening level for tiny, sensitive ears. You’ll also appreciate that the Puro BT2200 has 18-hour battery life, so kids can get a full day of use (and beyond!) without having to reach for a charging cable. The Puro Sound Labs BT2200 headphones are available in white/silver and gold/tan colors. You can order a set directly from purosound.com for $79.99. 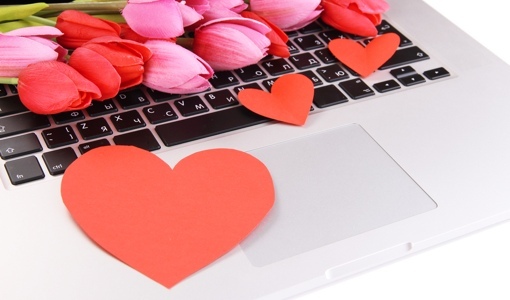 Are you and your Valentine caught up in the selfie fad? If so, check out the clever Glow LuMee Selfie Case – it’s a protective case for your smartphone with a built-in light to improve the quality of selfies. Taking a picture together in a dark restaurant? No problem – the Glow LuMee’s dimmable LED strip will add the perfect amount of light for a crisp, clear picture. A rechargeable battery powers the lights. The Glow LuMee Selfie Case is available for iPhone 5/5s, iPhone 6, iPhone 6 Plus and the Samsung Galaxy S5 in a number of different colors. Prices range from $39.95 to $44.95 depending on your phone model. 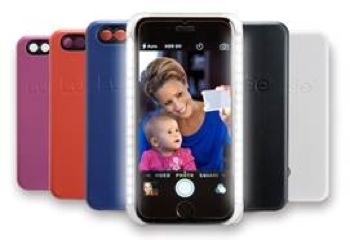 You can buy yours by visiting lumeecase.com. My laptop had viruses that block me from accessing my emails. I was told to create an email address that has a period between my first name and last name. This will prevent viruses using my email in their chain list sendouts. True? I love the idea of the headphones for kids. It never occurred to me to look for a product that would keep the volume from going to high and prevent ear damage. So important.